NASCAR Race Mom: Michael Self to Make First Appearance Today on "Inside ARCA"
Salt Lake City, Utah's Michael Self will make his first appearance on "Inside ARCA" today here at arcaracing.com. Self is entered for the Kansas 150 finale in the No. 28 Sinclair Oil Toyota for MDM Motorsports. Self, who won a recent NASCAR K&N East race*, has also been knocking on the ARCA Victory Lane door all season long, finishing a career-best second in July at Lucas Oil Raceway. There was also the third-place run at Pocono, a fourth at Iowa, not to mention he finished third at Kansas last year. "I'm really excited," said Self. "I really enjoyed racing at Kansas last year. But, I was a bit out of my element…it was the only race we ran last year. I've got a lot of confidence going in this year." MDM has four ARCA wins this year: Justin Haley at Talladega, Harrison Burton at Toledo, Brandon Jones at Michigan and Kyle Benjamin at Winchester. Inside ARCA is hosted by Charlie Krall and features the people and personalities of ARCA. The weekly show airs at arcaracing.com every Thursday through race season beginning at 2 p.m. Eastern. The show runs in a continual loop throughout the day up until 12 midnight. 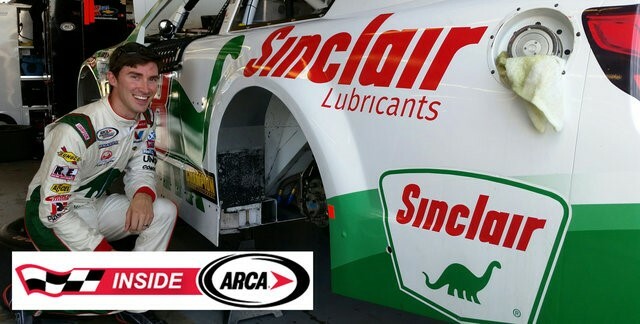 Join us for Inside ARCA today at arcaracing.com. *On an overtime restart, Derek Kraus lost the lead to Bill McAnally Racing teammate Chris Eggleston, who went on to cross the finish line in first place and was initially declared the winner. However, the finish came under review from NASCAR. 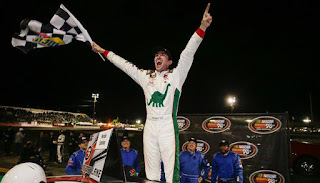 It was determined that Eggleston jumped the final restart, meaning his first-place finish would not hold. That handed the race win to Self.